Please sign and promote the petition calling for the contract to be scrapped. 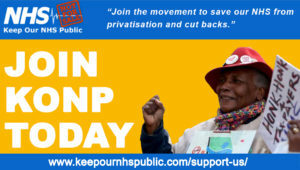 Keep Our NHS Public and Health Campaigns Together campaigners have compiled a pack of resources to help aid your understanding of what is happening and how you can lend your voice in opposing these ICPs. That this Government brings forward legislation to end the failed NHS contracting system and to re-nationalise the NHS: the only sound basis for service integration. That, in this context, there is a guarantee that any organisation tasked with delivering integrated care to patients will be a statutorily protected NHS organisation i.e. an NHS body not open to private providers, underwritten in legislation underpinning these undertakings (see below).The Government commits to sufficient funding and staffing for safe health and social care. Only these measures guarantee restoring the NHS, ensure safe, well-coordinated and integrated services delivered to patients, and achieve real health improvement by putting patients and staff first once again. The Government likes to bury its plans to de-fund, break-up and privatise the NHS in jargon. 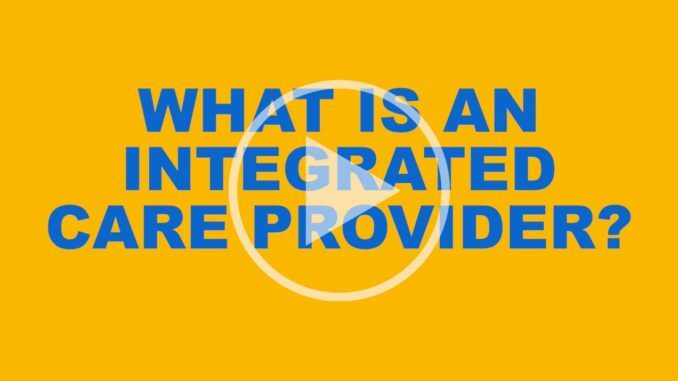 KONP has produced the latest in our series of videos to help you understand what’s going on What is an Integrated Care Provider?- available to view via YouTube or on our Facebook page. Short briefing: HCT co-chair and KONP campaigner, Louise Irvine, has written a briefing explaining Why we are calling for the draft ICP contract to be scrapped. The briefing details how the threats posed by ICPs including loss of accountability, risks to current GP provision and escalated risks of privatisation of the NHS. These include the stronger economic ties to the USA post-Brexit when there will be nothing to stop major US health corporations bidding for NHS services through the ICP contracts. Health Campaigns Together – ‘Integrated Care Monitor: You will find extensive analysis and information presented here helpful in understanding ICPs and constructing your response to NHS England’s consultation. JR4NHS team’s submission: you may also find inspiration from the submission to NHSE by the JR4NHS team – Allyson, Sue , Graham, Colin and Peter – who took Hunt and ACOs to Judicial Review earlier this year. You can read/download their submission here. NHS England is asking for responses to the consultation to be submitted by 26 October. Please see NHSE’s integrated-care-providers-consultation-document. You can refer back to HCT and KONP’s position on the proposals and make use of HCT’s sample answers as guidance. b) You don’t have to restrict yourself to responding to the questions set by NHS England but can submit your own views. You may find some of the information presented here helpful in constructing your response. See Health Campaigns Together website for more analysis and information. You may also find inspiration from the submission to NHSE by the JR4NHS team – Allyson, Sue, Graham, Colin and Peter – who took Hunt and ACOs to Judicial Review earlier this year. You can download their submission here. 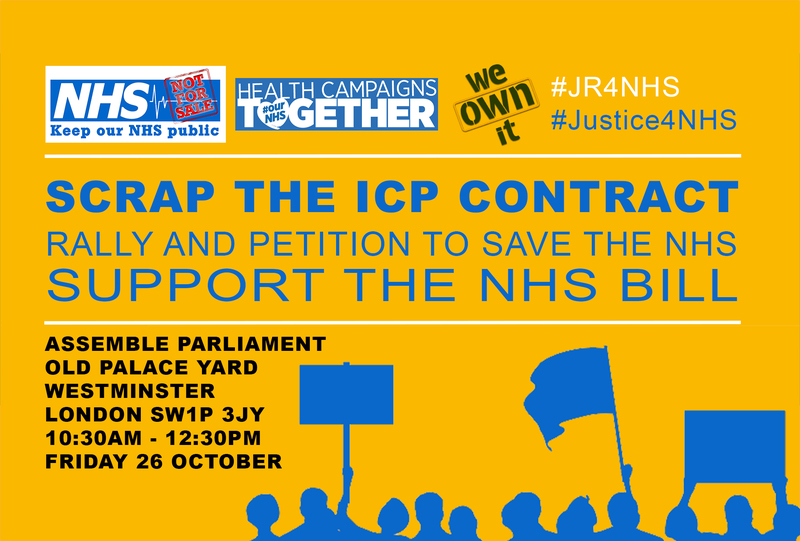 Campaigners from Keep Our NHS Public, Health Campaigns Together, We Own It, JR4NHS and Justice4NHS will be assembling outside parliament at 10.30am on 26 October to protest the ICP contracts. After we’ve assembled at Parliament we’ll be handing in our petition to scrap ICPs at the Department of Health and Social Care on Victoria St, (Westminster, London SW1H 0EU). Also timetabled on Friday is the second reading of the NHS Reinstatement Bill. It may not get a reading but The NHS Reinstatement Bill is vital to safeguard against these attacks and must be supported. Both are key issues facing the NHS. Make sure you come along. For more information please head to the Facebook Event. The JR4NHS team were not the only ones who have brought a judicial review (JR) against ACOs (now ICPs). 999 Call for the NHS lost their JR held in April but have been given leave to appeal. They have crowdfunded their appeal, scheduled for the Appeal Court in December 2018 – that means that the ICP contract remains under judicial review. We believe it is wrong for NHS England to proceed with a consultation on a contract that may not to be legal. Please support them with the JR appeal by heading to their website for more information. Read KONP’s submission in response to NHSE’s consultation here and head to our resource cabinet for more helpful documents. If we don’t fight for NHS we will lose it. Think of our children and grand children. Protect them . Their future matters. and we are looking to exchange strategies with others, why not shoot me an email if interested.